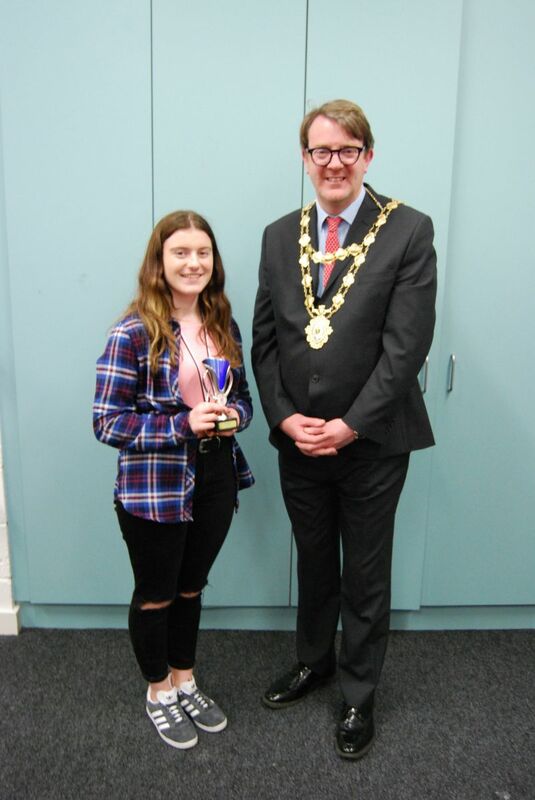 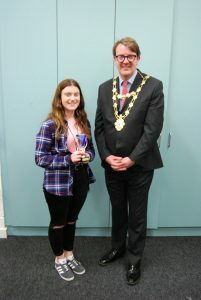 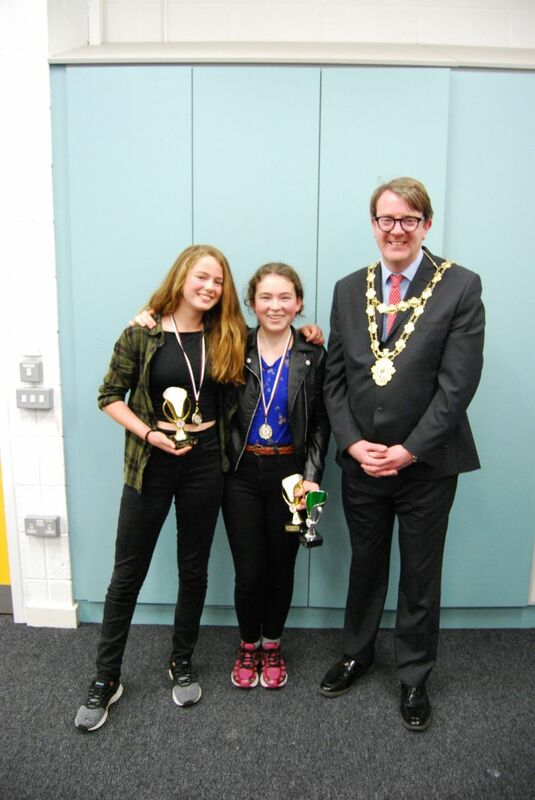 After seven hours debating against 80 speakers from all over Connacht, the Connacht Junior Debating Final, chaired by the Mayor of Galway, was won by the 3rd Year Jes team of Clara O’Gorman and Tara O’Neill. Clara O’Gorman was best speaker of the day. 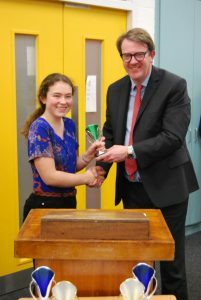 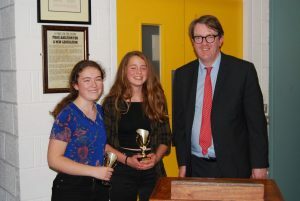 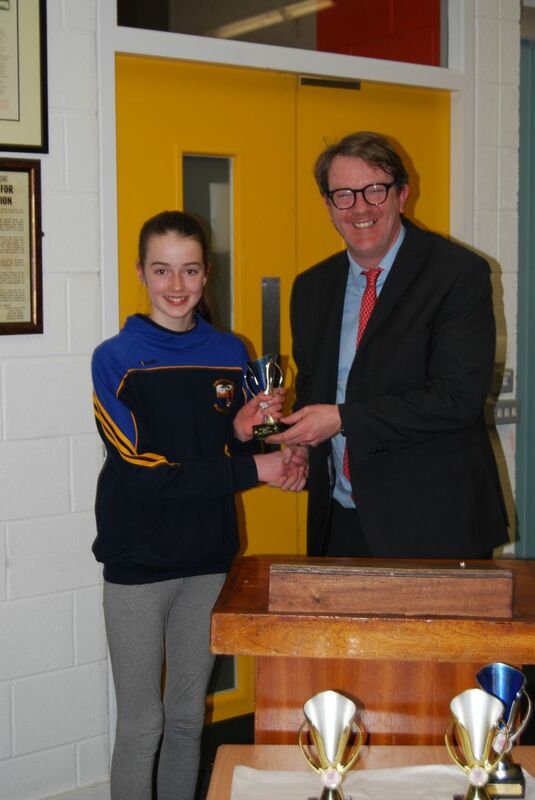 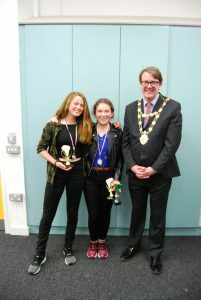 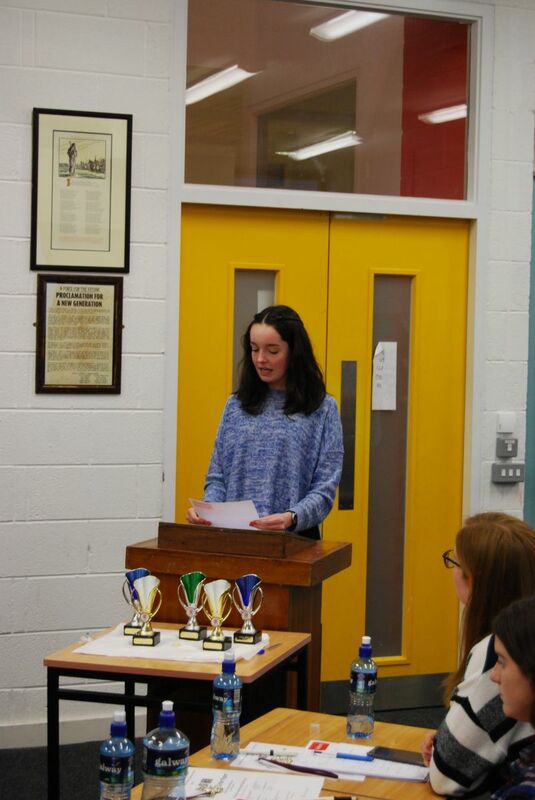 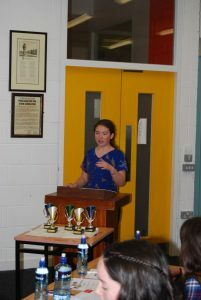 Emily Rooney and her partner Sadbh Mannion also broke to the Final and Emily was judged best speaker of the Grand Final. 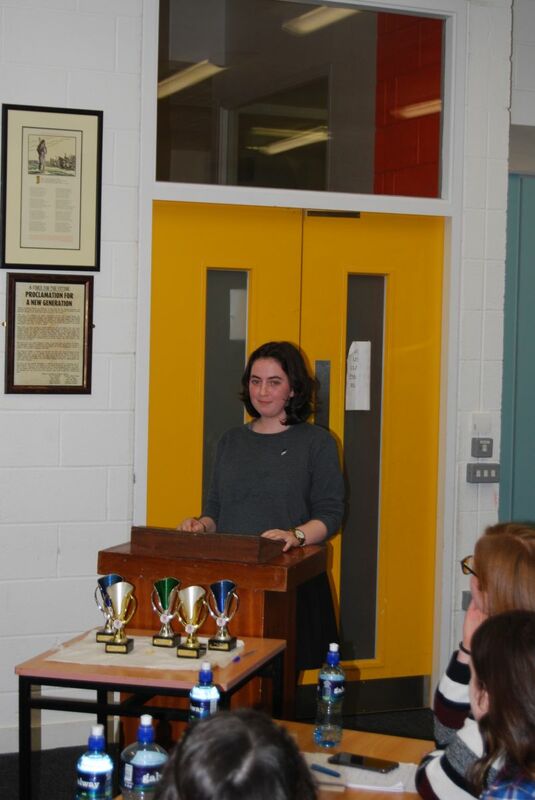 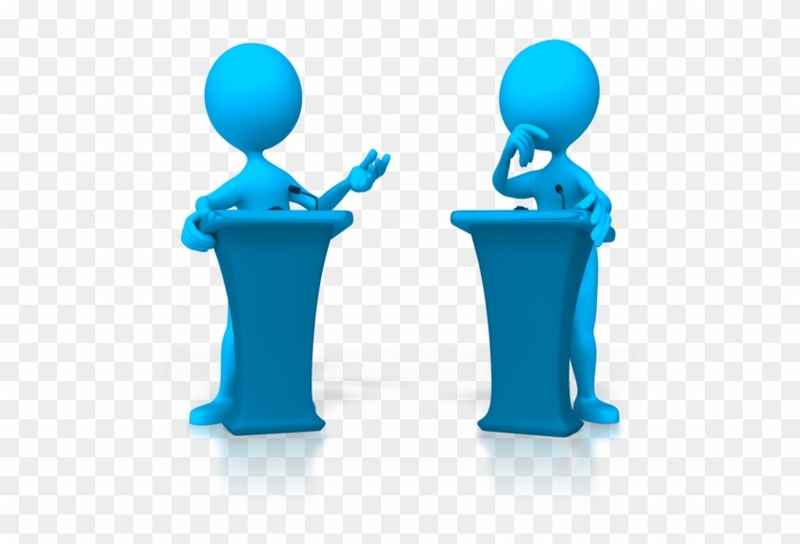 Clara O’Gorman and Tara O’Neill, as top speakers in Connacht, now go on to represent Ireland in the International Competition for Young Debaters’ in Cambridge next year. 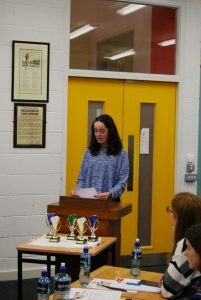 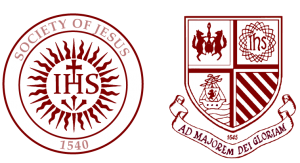 Eight Jes speakers qualified for the National Final in March, holding five of the top rankings of the day: Ellie Concannon came 5th to the above. 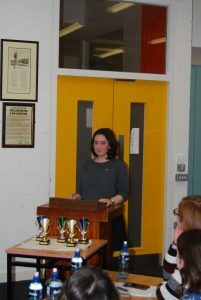 From 80 speakers, the Jes took 1st, 2nd, 3rd, 4th and 5th position in the competition!